October 4, 2012 By arzea 10 Comments This post may contain affiliate links. Read my disclosure policy. 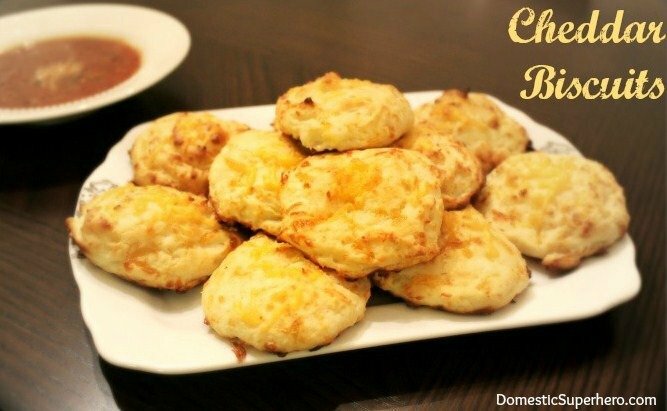 I was browsing recipes a couple weeks ago and stumbled upon the holy grail of biscuit recipes. Immediately I started wondering, “why have I never made biscuits before?” I don’t know why…..maybe because I have always thought it was difficult, or time consuming? Maybe I am not a biscuit type of person? Before I was a vegetarian I used to love biscuits and gravy, so maybe I am a biscuit person. 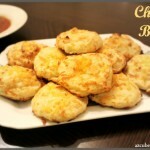 Could biscuits be the missing link in my recipe repertoire?? I pinned a ton of biscuit recipes, and when I decided to make a delicious Tomato Bisque for dinner one night, I thought the ‘Red Lobster’ Cheddar Biscuits would be the perfect side. Now that it is fall, it makes even more sense to indulge in biscuits….doesn’t it? 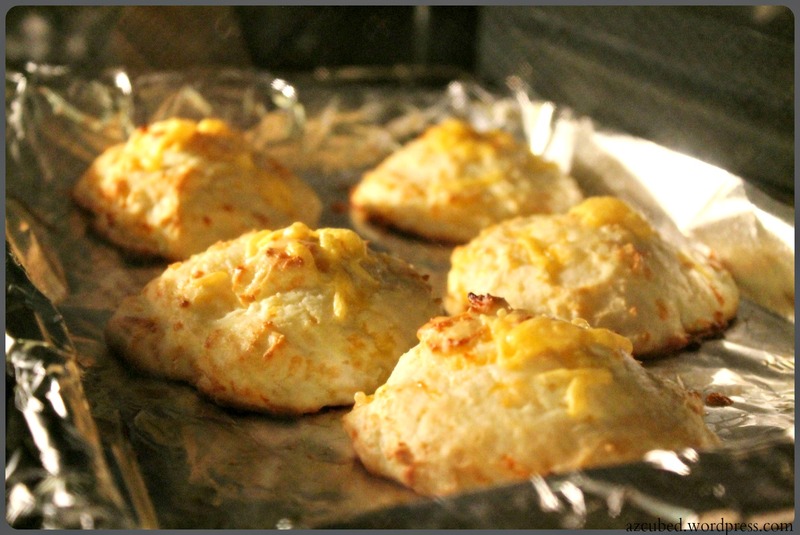 Anyway, like I was saying, I decided to try the “Red Lobster” Cheddar Biscuits…who doesn’t love those?! Mine turned out fabulous, despite not having any Bay Seasoning (Have to pick some of that up asap! ), but I wouldn’t say they were exactly like Red Lobsters (but who knows, I haven’t been there in at least 10 years), but it didn’t matter because they were delicious. I tried to make them a little healthier by using greek yogurt in place of sour cream (and I could tell no difference), skim milk, and also low fat cheese. I used Bisquick because….it’s quick and easy…but next time I will probably make my own dough (haha, yeah right…I am using that Bisquick until it’s gone!). I made 12 large biscuits and calculated them to have around 140 calories each…not bad for a biscuit! Stop what you are doing. Go make some biscuits. 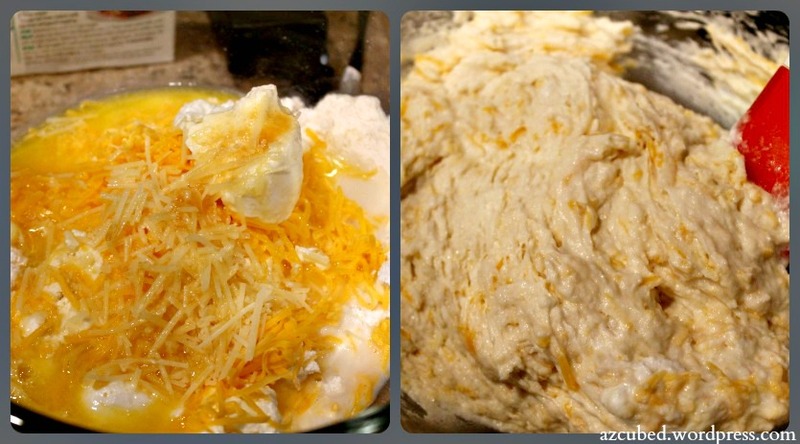 In a medium size bowl mix milk, Parmesan cheese, greek yogurt, cheddar cheese, bay seasoning, Bisquick, garlic powder. While baking, melt butter. 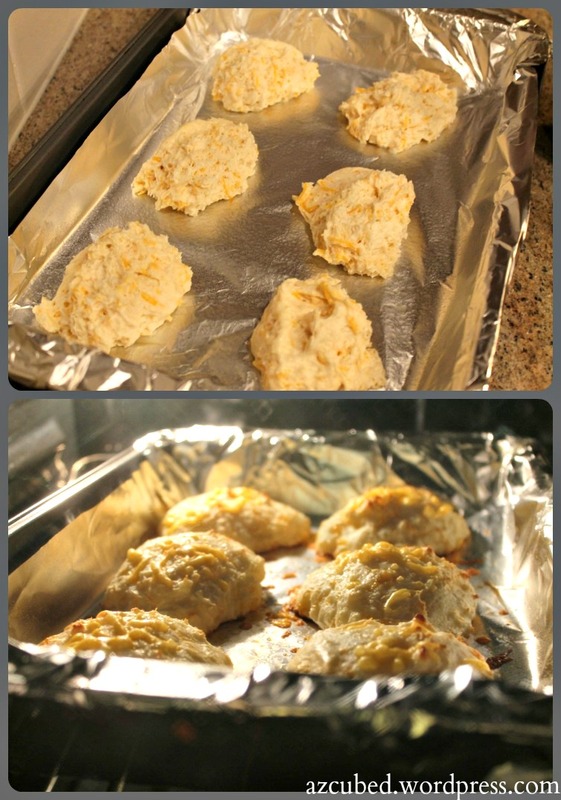 After 8 minutes of baking, remove from oven, brush melted butter on each biscuit and sprinkle a little salt. Place biscuits back into the oven to bake for 2 more minutes (watch them). Want something with a little more kick? Check out these Blue Cheese and Chive Biscuits! Loved that you used the Bisquick because I totally would have too! Girl…don’t even get me started!!! I have been missing out on life without this Bisquick! I’m on it! 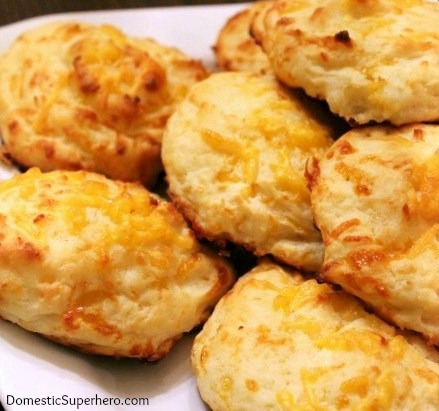 Biscuits are happening this weekend– Thanks for sharing! They are so good!! Eat 5 for me!